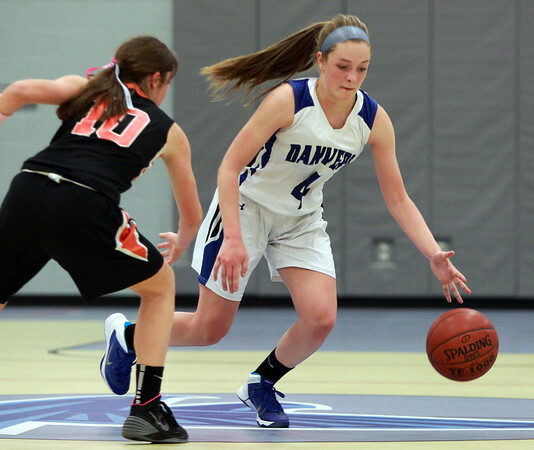 Danvers sophomore guard Nicole White (4) drives past Beverly sophomore Natalie Mellinger (10) at Danvers High School on Tuesday evening. DAVID LE/Staff photo. 1/13/15.